Life they say begins at 30. At this age, you want to have attained a certain level of maturity and awareness, and if you are living in Nigeria where the big 3-0 is a huge deal and expectations are super high, there a few things you may want to check off on you life’s to-do list . Wondering what things to include on your checklist? Jumia Travel , Africa’s largest hotel booking portal share inspiring tip on a few once-in-a-lifetime experiences you should have before turning 30. And even if you are already past 30,it is not too late to take them on as well. Nigeria like most other countries in the world is divided into the North, East, West and South. Pick out three cities from each region and visit them. You can either go alone or with friends. Do not include places you have been to already; try and go to places that are far out of reach. Step out of your comfort zone, explore and experience new cultures. This is very important. 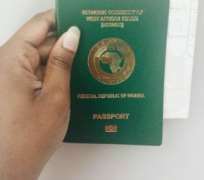 Most Nigerians do not have their official passports. They get on with their driver’s license or work ID for identification, and unless they are travelling outside the country, they do not see the need to have a passport. Before you turn 30, visit the immigration office get yourself a valid passport. Hopefully, it will inspire you to travel and visit other parts of the world. At 30, you should be able to say that you have read at least 10 books by Nigerian authors. The Nigerian literary society may not be as advanced as those in other parts of the world, but there are several recognized authors whose books you will have a great time reading. From Chinua Achebe to Ben Okri and Chimamanda Adichie, you are bound to learn more about yourself, the country and the struggles of being an adult from reading their works. A lot of people in Nigeria are always ‘on the hustle’, and do not get the time to just chill and have crazy fun. Before you turn thirty, let yourself go at a music concert or festival. Luckily there are tons of those going on all the time in Nigeria. Whatever your tastes in music, lose your mind with the amazing line-ups at every concert attended. Nigerians have a habit of always sticking to their area or people. It is not surprising to find a 40 year-old Igbo man who has never traveled out of his state or met anyone from another tribe or ethnic group in Nigeria. Before you turn 30, evaluate your friends, know what ethnic groups they are from, and try to make friends with 5 from other ethnic groups. Try and make sure you don’t just do it over social media either. This is a major problem with most people in Nigeria. They do not even bother with the local languages anymore, they just go with English and at most, they speak pidgin to locals. Good thing is, it is never too late to learn. Pick at least 2 local languages and ensure you are fluent in them. Nigerian meals are super tasty and they are all mostly easy to prepare. Take a day off and familiarize yourself with the local spices and dishes. Select one and challenge yourself with learning how to cook it. At 30, you should know how to manage a home, handle and pay bills and basically be independent. You achieve this mostly by living alone. Get out of your parents’ home or stop squatting with a sibling or friend. Get a place of your own and live alone before 30 knocks. Ain’t no party like a Lagos party! No matter what part of the country you are, ensure you visit Lagos at least once and attend a Lagos party or as it is fondly referred to “Owambe”. It is a life changing experience for anyone on the throes of 30. At 30, you want to say you have given and experienced love, that you know the basics of dating and being in a relationship, especially with a Nigerian. Before you turn 30, put yourself out there, look for love, let yourself be loved and document it all in a journal if you can…but even if you hit 30 and you don’t find the love, it doesn’t mean you won’t find love at 40, 50, 60, or older.